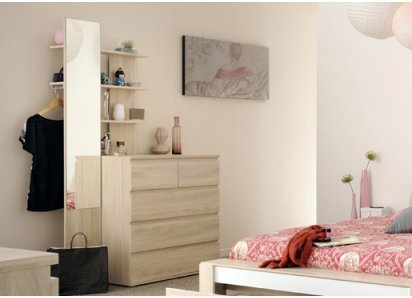 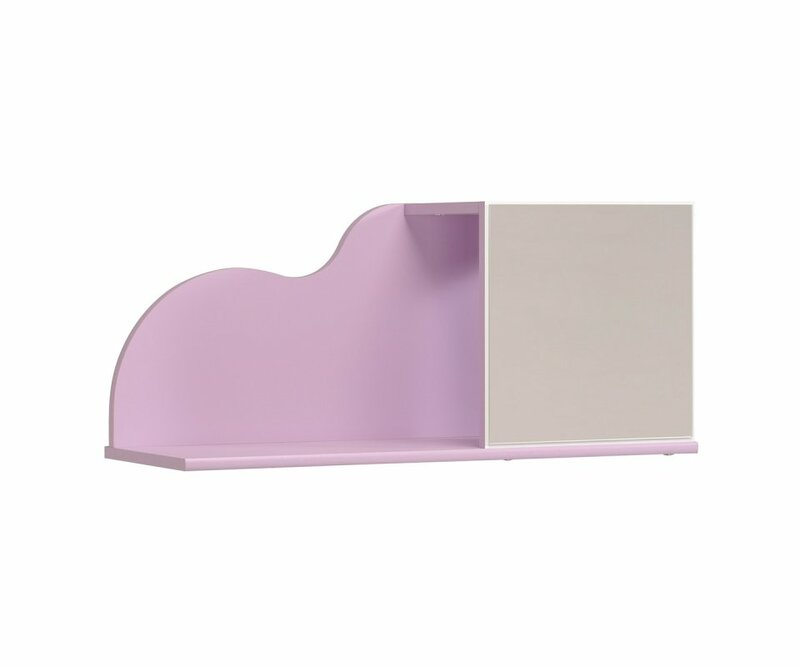 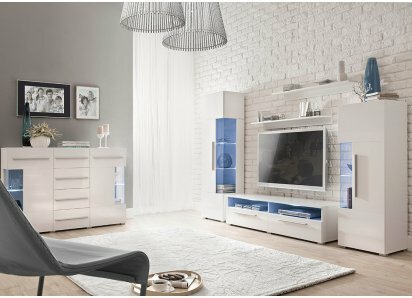 TWO-TONE COLOR: Designed in white and pastel lilac, the shelf reflects the color palette of the other Mila furniture, and coordinates with most colors and room themes young girls love! 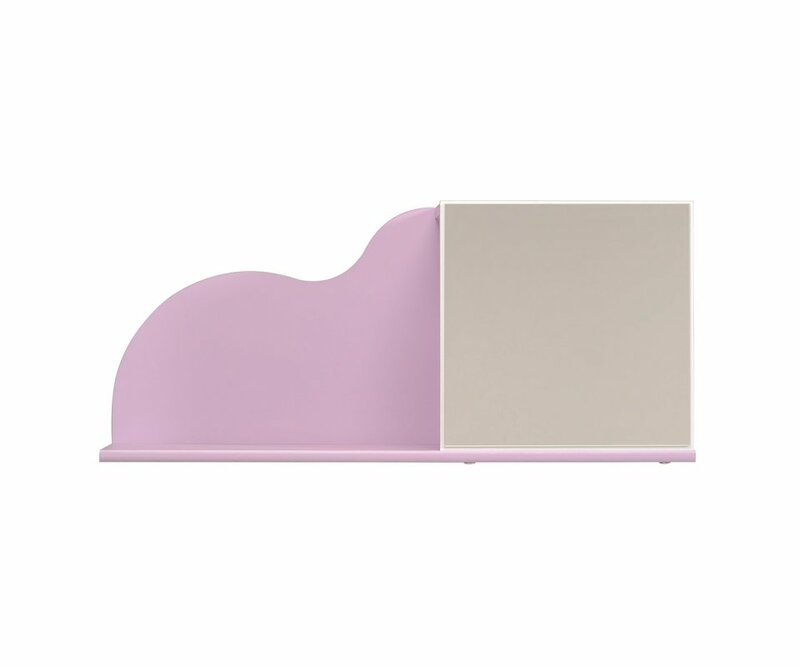 CLOUD EFFECT BACKBOARD: A lilac cloud-shaped backboard echoes the pattern found in many other Mila collection pieces, and adds a whimsical touch to the wall shelf! 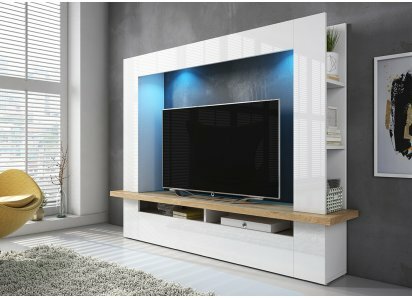 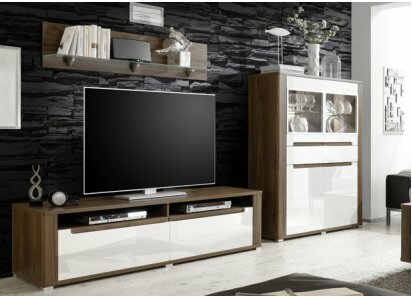 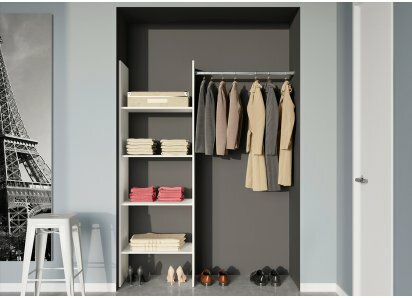 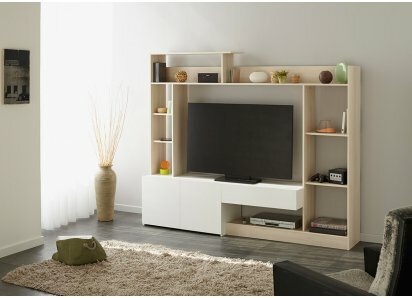 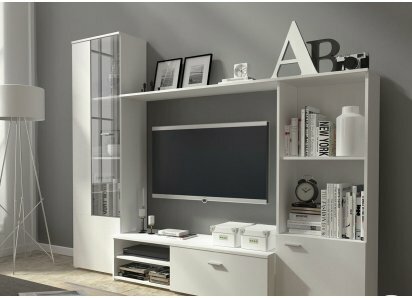 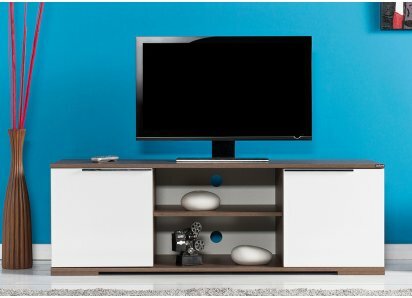 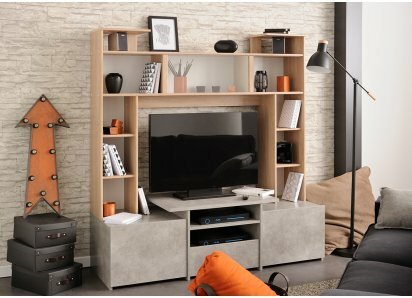 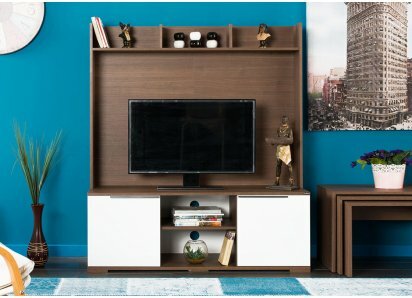 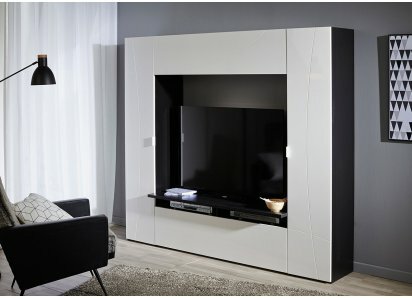 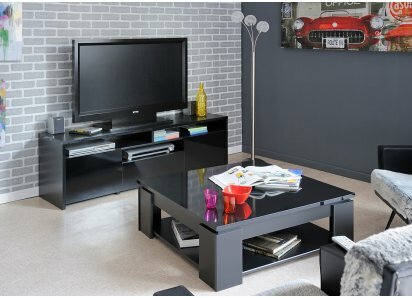 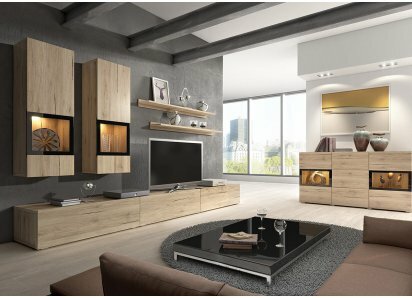 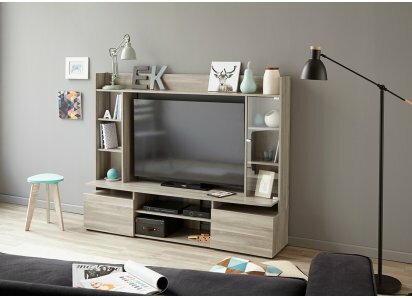 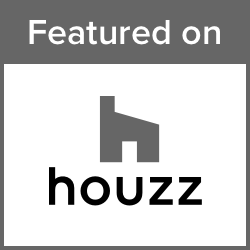 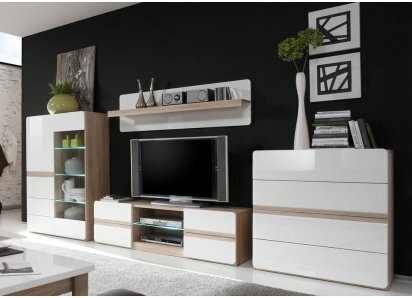 BUILT TO LAST: The shelf is made from high-density, eco-friendly MDF boards, and joined with heavy-duty hardware that keeps it sturdy and strong, and durable veneer that resists scratches, stains, and fading. 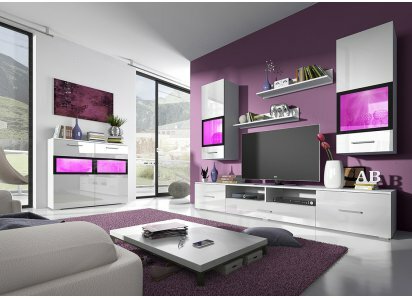 TWO-TIERED EFFECT: A cube in lilac and white sits on the shelf, creating 2 tiers for display, as well as a cubby for holding special treasures. 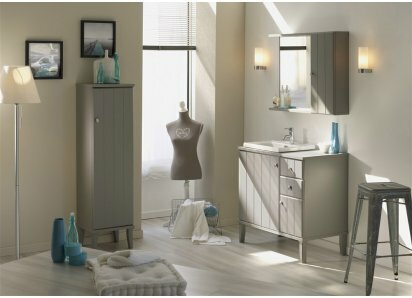 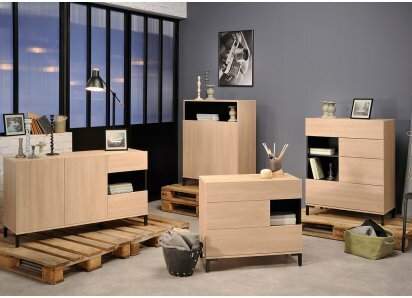 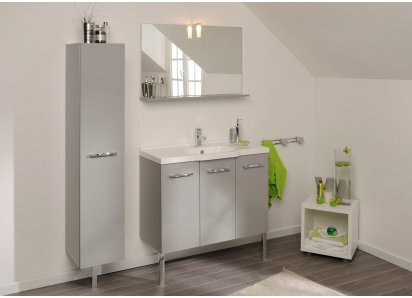 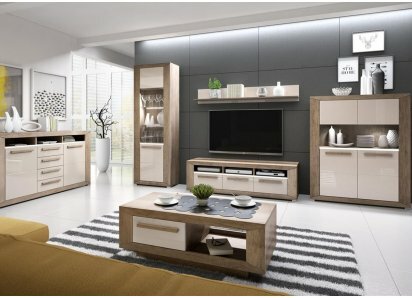 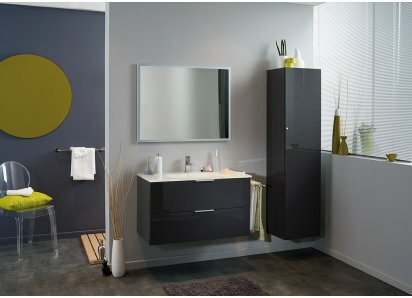 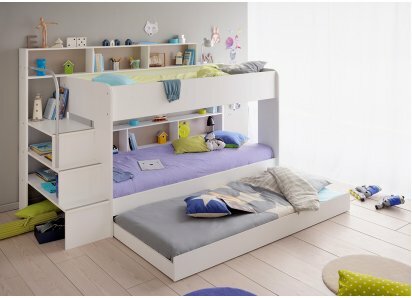 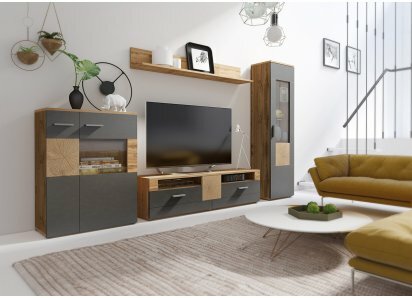 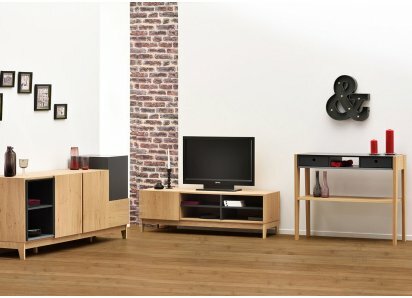 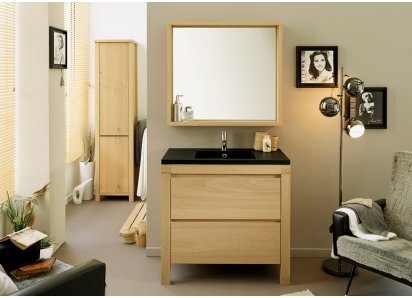 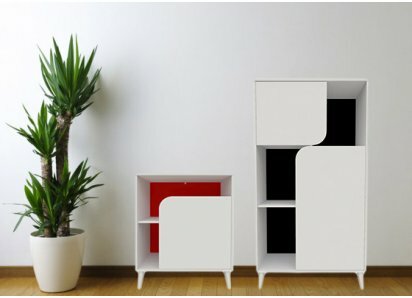 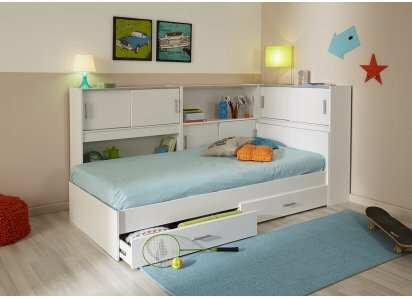 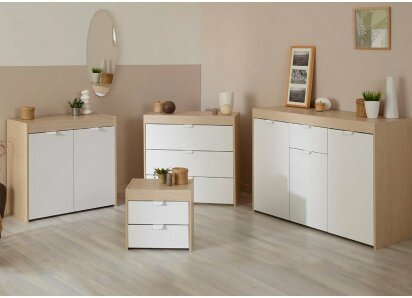 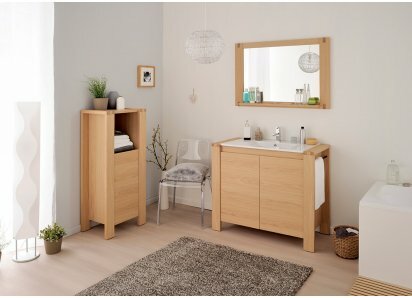 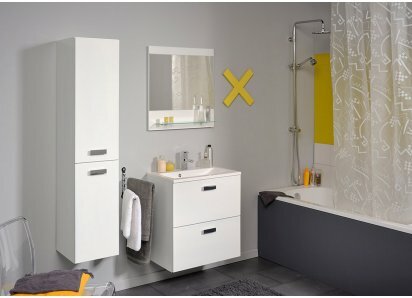 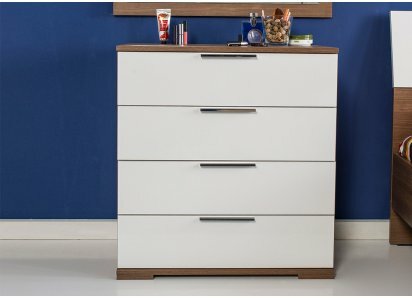 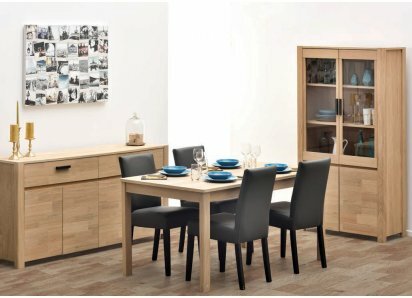 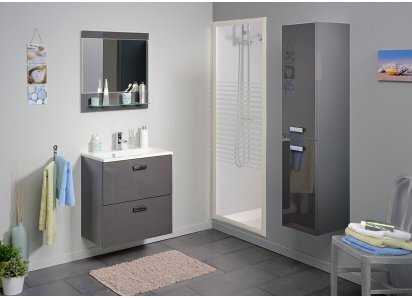 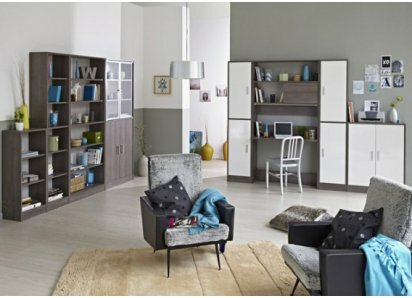 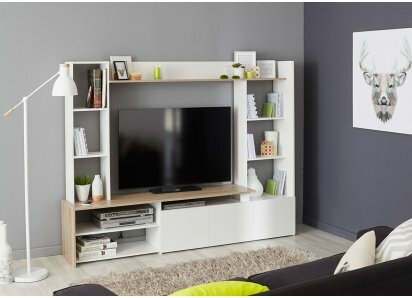 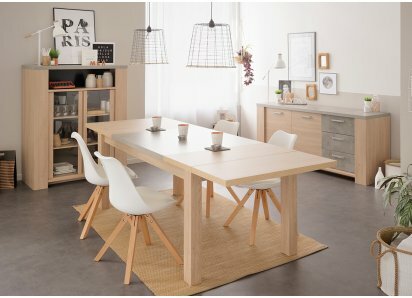 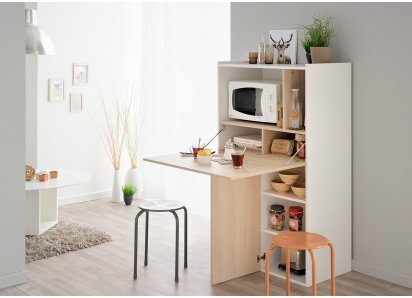 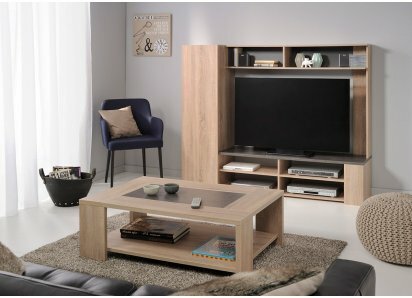 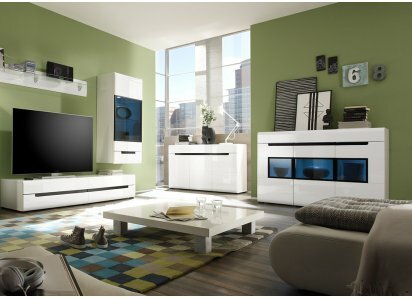 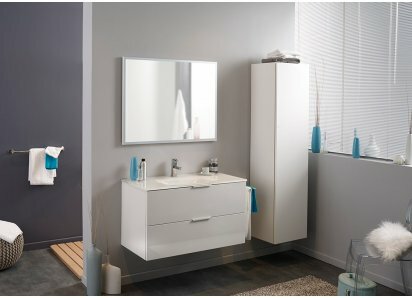 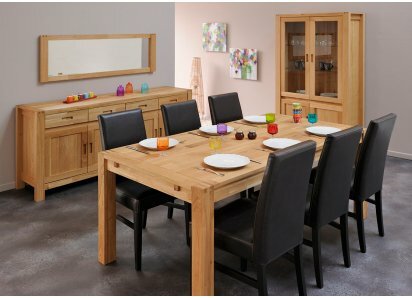 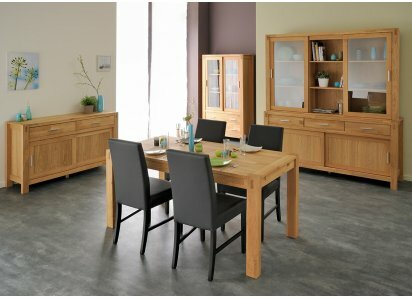 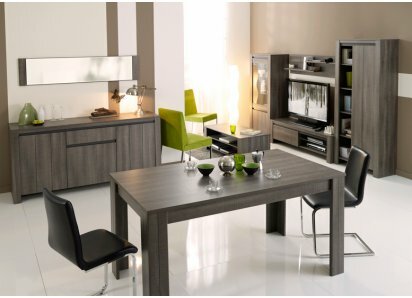 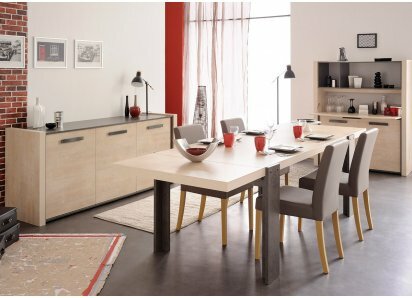 ECO-FRIENDLY PRODUCT: Made by Parisot of France, who has won the Green Way award for eco-friendly wood-sourcing, manufacturing, and recycling practices! 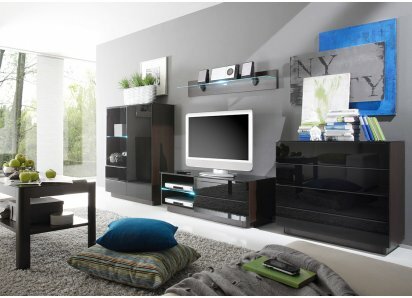 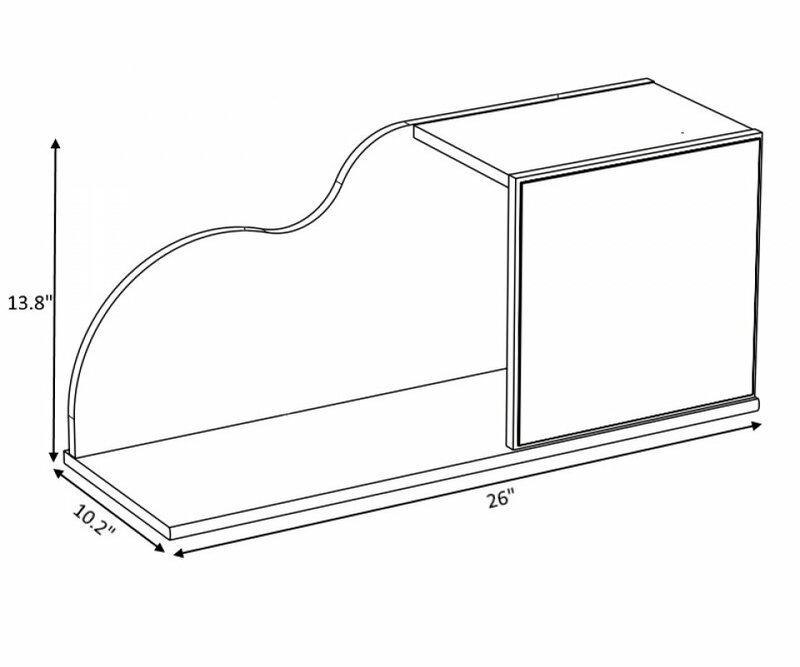 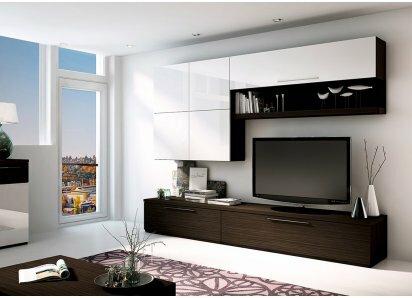 The Mila wall shelf provides two tiers of shelf space, with a cube sitting on the lower shelf. 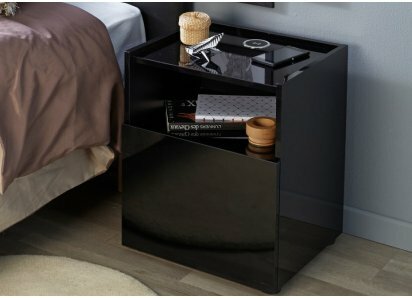 Inside the cube, she can store favorite books, collectibles, or anything her heart desires! 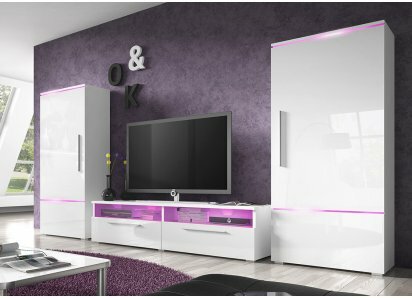 The lower shelf is backed with a lilac cloud effect backboard that echoes the pattern found throughout the collection, and adds a whimsical note to her wall. 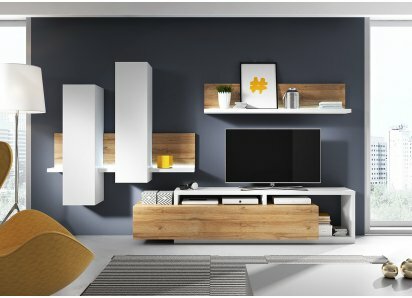 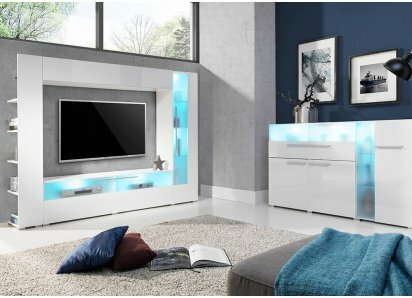 This shelf is made of high-density MDF wood, so it won’t sag or split under weight, and it’s finished with durable veneer that resists scratches and fading from UV ray exposures. 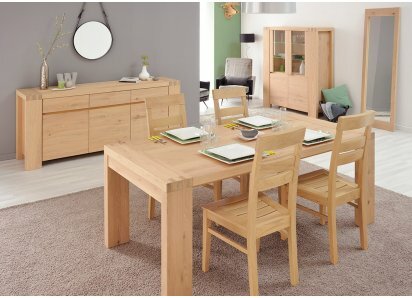 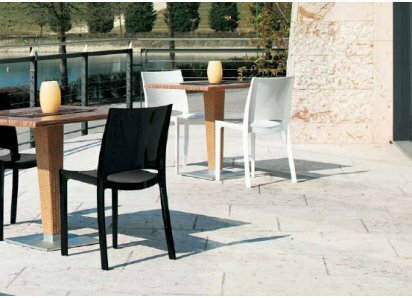 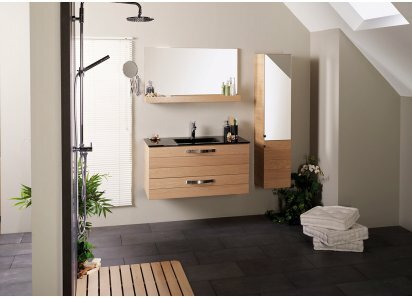 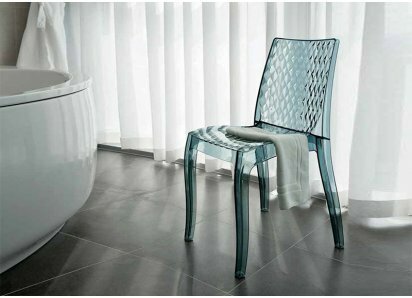 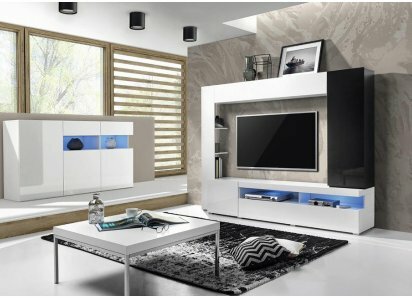 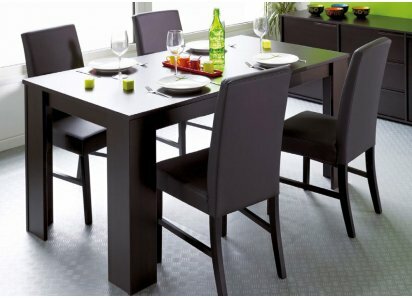 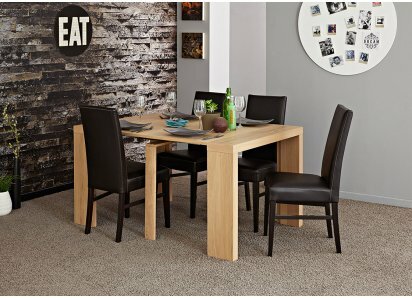 It is made by Parisot of France, who has won the Green Way award for eco-friendly wood-sourcing, manufacturing with low solvent emissions, and effective recycling practices. 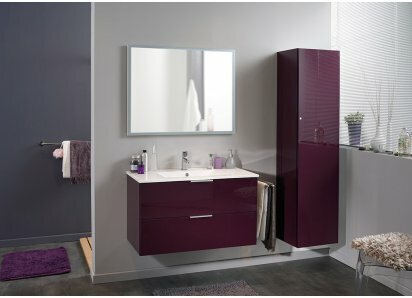 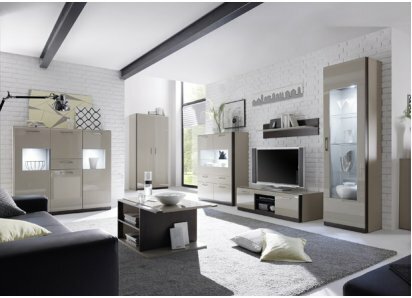 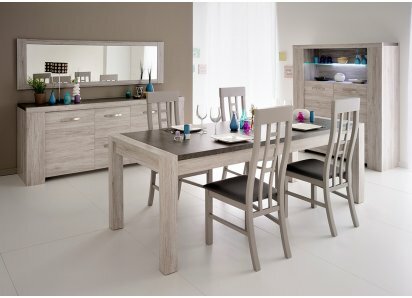 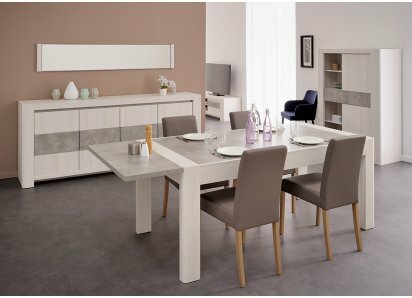 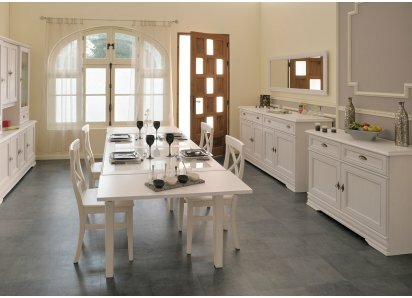 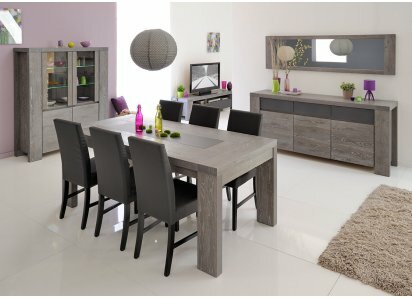 UNIQUE STYLE: Designed with a cloud-like backboard in lilac that echoes the pattern on the rest of the Mila collection, and creates an attractive and unique silhouette against a wall.TWO-TONE COLOR: The combination of bright White and pastel lilac creates a refreshing color palette that will coordi.. 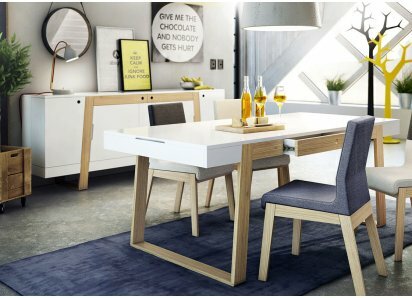 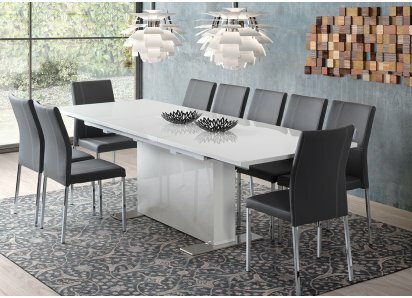 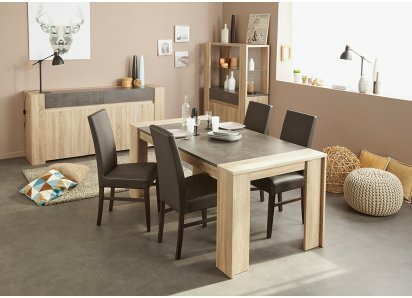 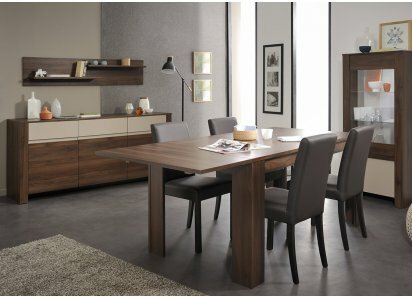 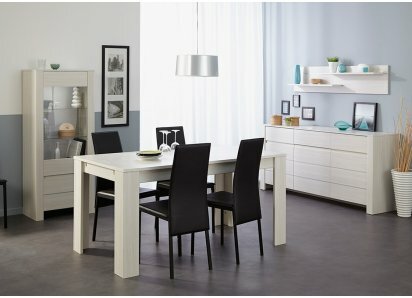 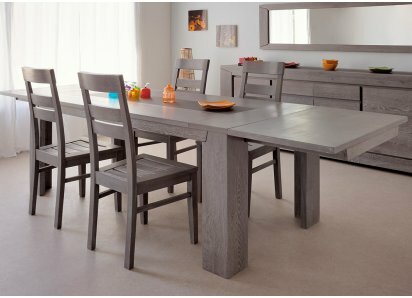 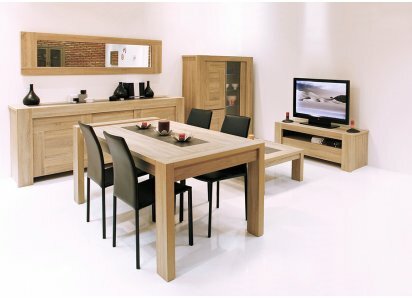 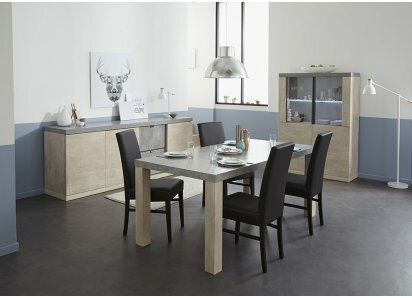 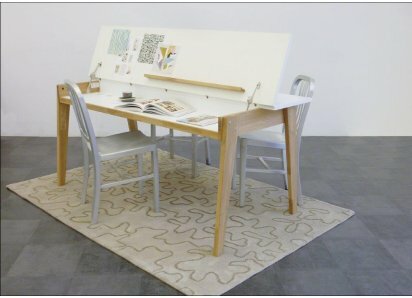 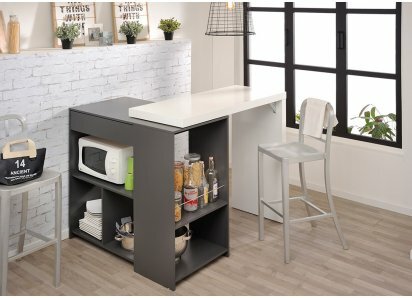 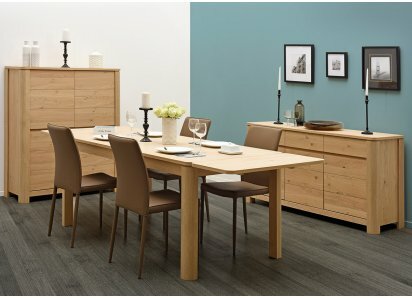 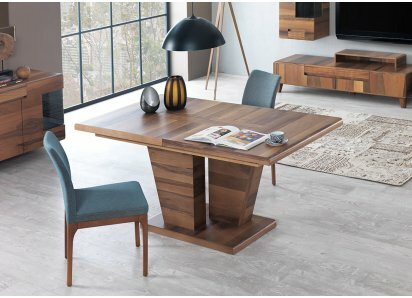 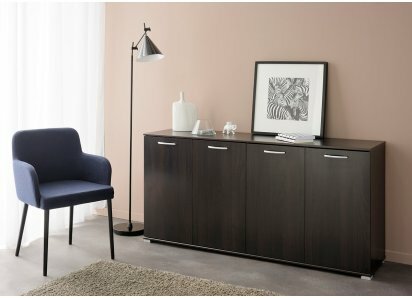 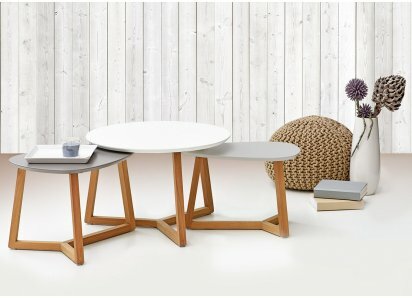 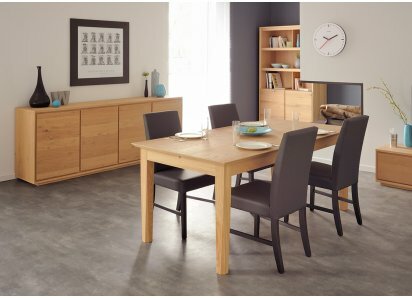 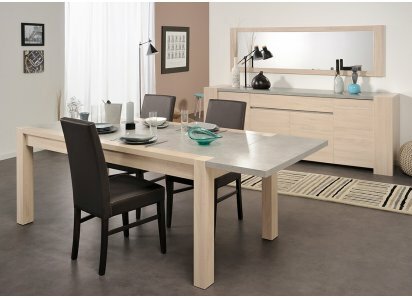 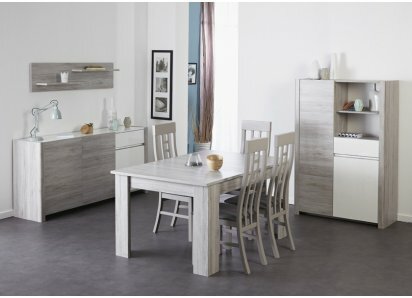 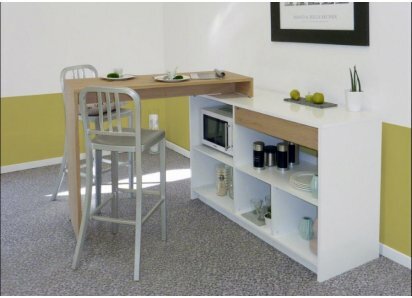 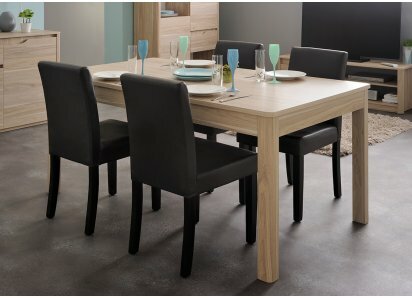 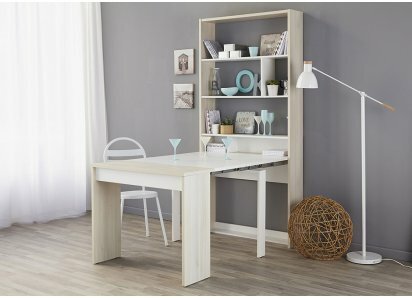 BUILT TO LAST: The Mila desk is made from high-density MDF boards, and put together with heavy-duty steel hardware and drawer slides, so it will last for years with normal use.DURABLE VENEER: The veneer finishes have been designed to withstand normal wear and tear, and resists stains, scratches, an.. 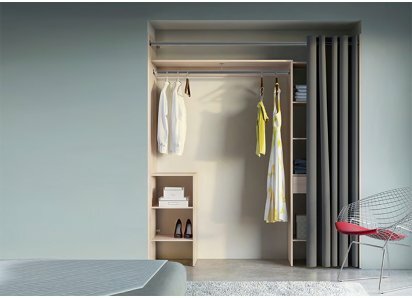 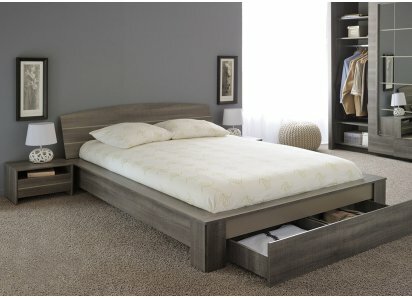 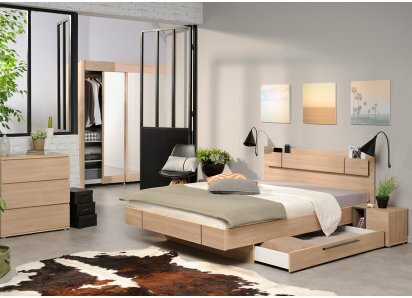 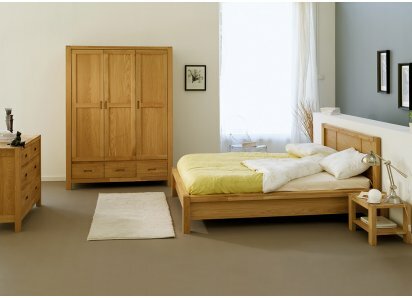 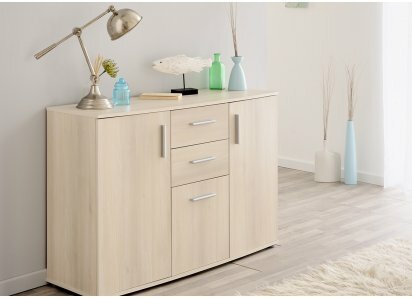 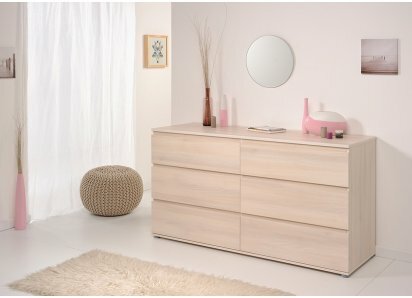 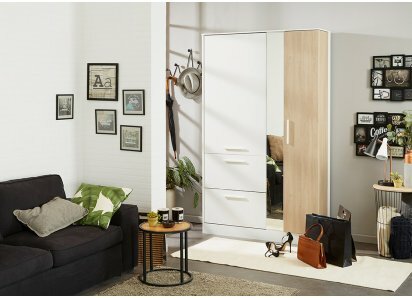 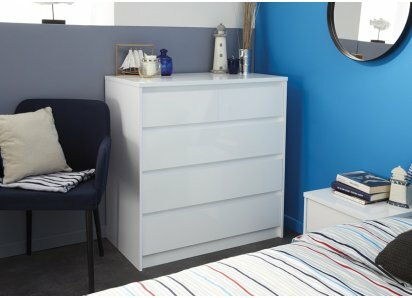 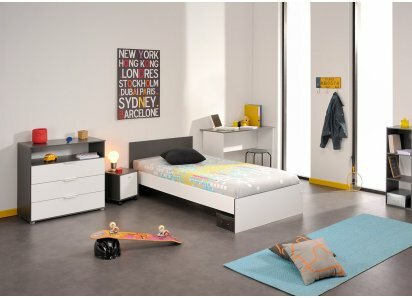 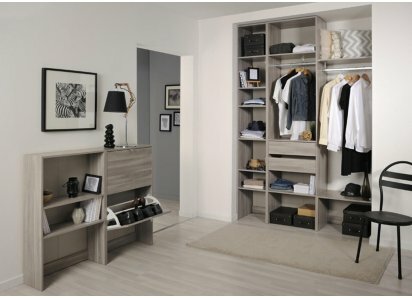 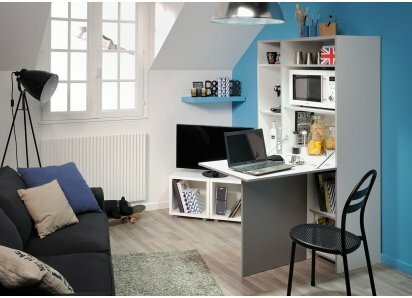 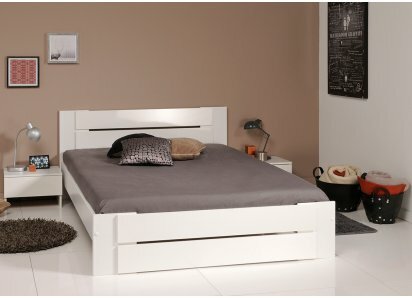 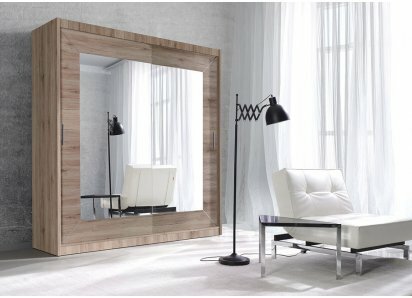 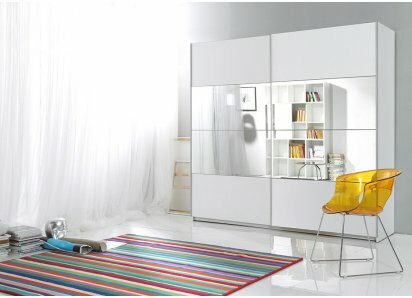 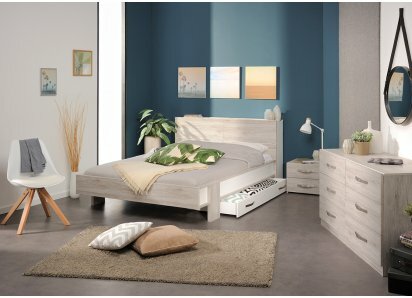 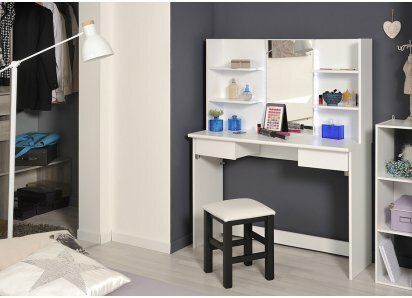 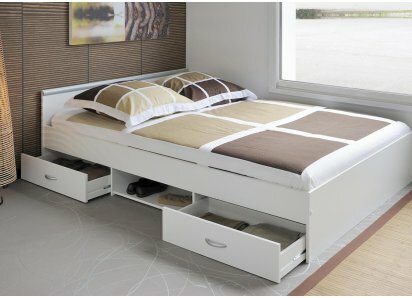 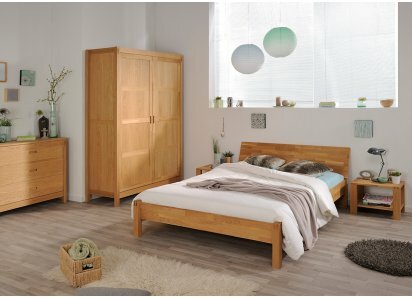 SAVES BEDROOM SPACE: The Mila Highsleeper combines a twin-size bed with a built-in desk, wardrobe and storage shelves, conserving space and creating an organized bedroom!BUILT-IN DESK/DRESSING TABLE: The L-shaped counter has open shelves, and a swiveling drawer with dividers for easy access to desk.. UNIQUE DESIGN: The offset lilac curved backboard is designed to pair with the Twin Bed, echoing the lines and fitting perfectly to create a silhouette against the wall.2-TONE COLOR: The bookcase headboard matches the fresh White and pastel Lilac of the bed, adding a color palette that blends ..